Rentals - Orinda Motors Inc. Compare us to most airport rental car agencies and you’ll find that the pricing at Orinda Auto Rental is hard to beat. Many travelers from around the world fly into the San Francisco Bay Area by way of two major airports: SFO (San Francisco International Airport) and OAK (Oakland International Airport). 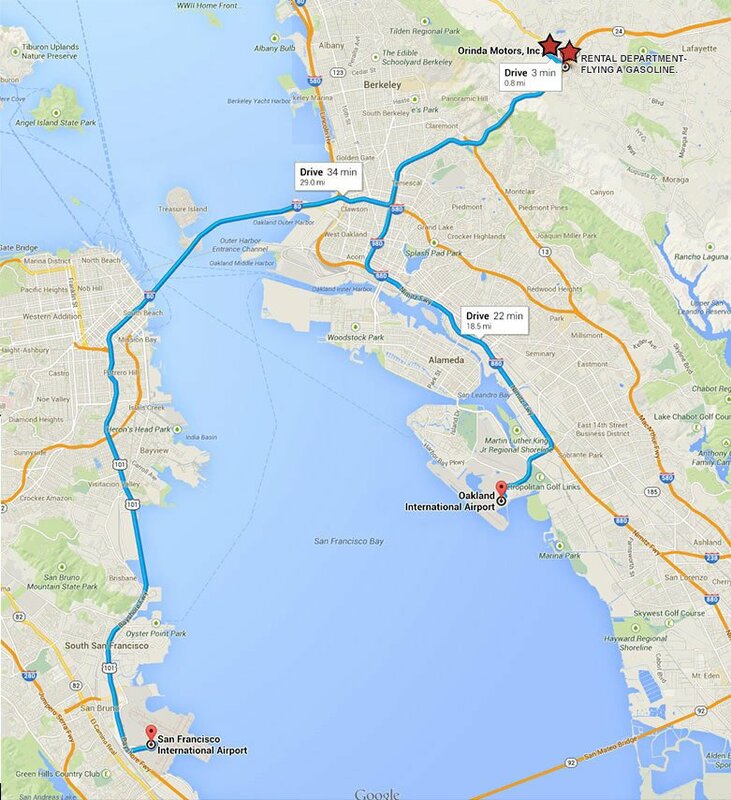 Many of those travelers are destined for the SF East Bay region. If you enjoy getting the better deals on rental cars, Orinda Auto Rental has an innovative idea for you. If you land at SFO or OAK, you can take BART (Bay Area Rapid Transit) to the Orinda station. 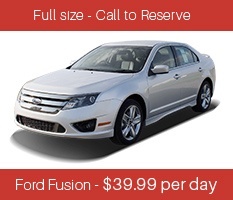 Located in the East Bay city of Orinda, California, Orinda Auto Rental has one convenient car rental location. Our location is at 63 Orinda Way, and it is only a 3-minute walk away from the Orinda BART station. 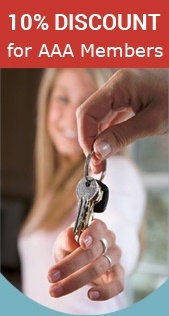 You can select Orinda Auto Rental location to pick up your affordable, clean, and well-maintained rental car. If you make an appointment with Orinda Auto Rental, we will be happy to pick you up from the Orinda BART station and bring you to your awaiting auto rental. 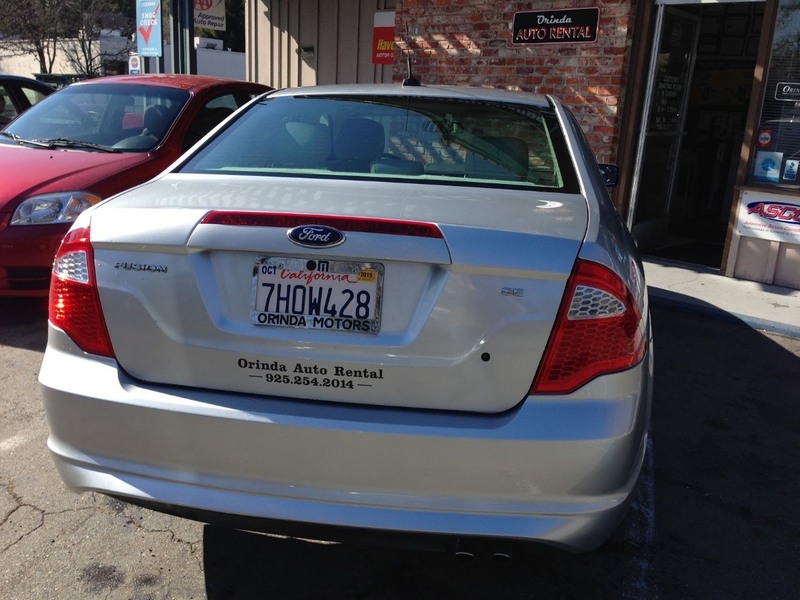 Open 7 days a week, Orinda Auto Rental offers local pickup and delivery service by request, free of charge. Plus, we are in the heart of the Lamorinda area, which consists of the following cities: Lafayette, Moraga, and Orinda. 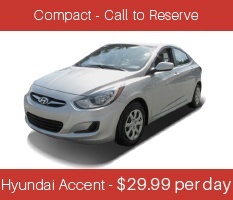 Orinda Auto Rental offers a variety of compact, mid-, and full-size rental vehicles to choose from at affordable rates. If you are an AAA member, you also qualify for a 10% discount. Save money and skip the expensive airport rental car agencies. Orinda Auto Rental is at your service, and we’ll be happy to pick you up from the Orinda BART station. 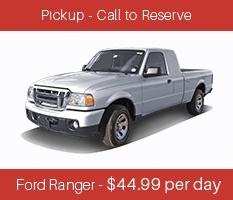 Contact us to secure your pickup time at 925-254-2014, or click here for more details about Orinda Auto Rental. 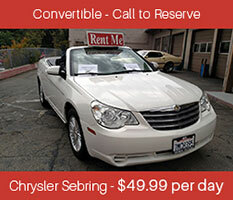 Rentals available Monday - Friday at Orinda Motors location. 100 Mile Included in all Daily rates! 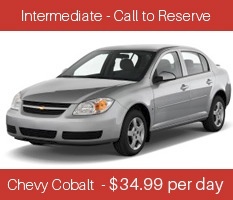 Lastly, to specify the type of vehicle you need, fill out our Rental Car Request Form. 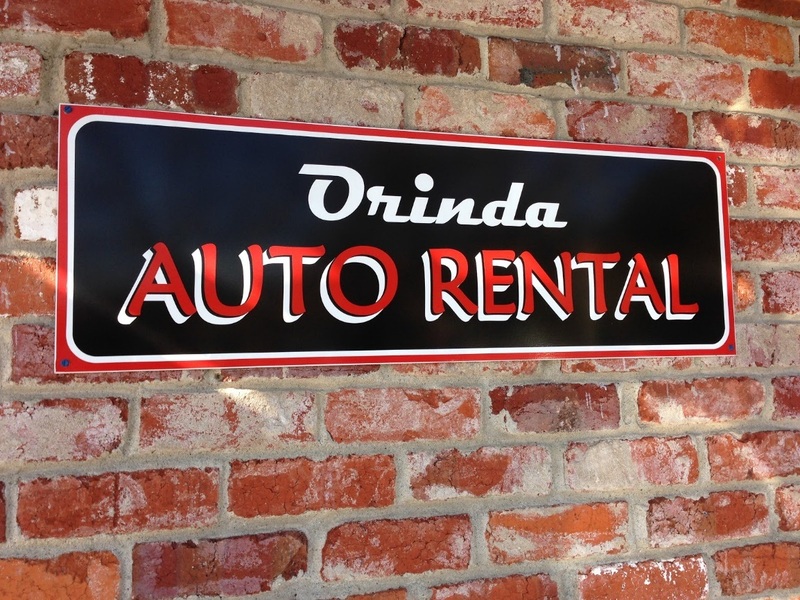 We look forward to serving you at Orinda Auto Rental. We are close to Bart, and we will shuttle you back and forth!